More than 6000 participants consisting of youth, children, corporates, senior citizens from all strata of society, would gather at AES Ground, Ahmedabad, to create world’s largest portrait of Gandhiji. This would be a bid for Guinness Book of World Record as well as Limca Book of World Record. The participants would be clad in black, and would stand still for thirty minutes while a helicopter camera would click the portrait image. 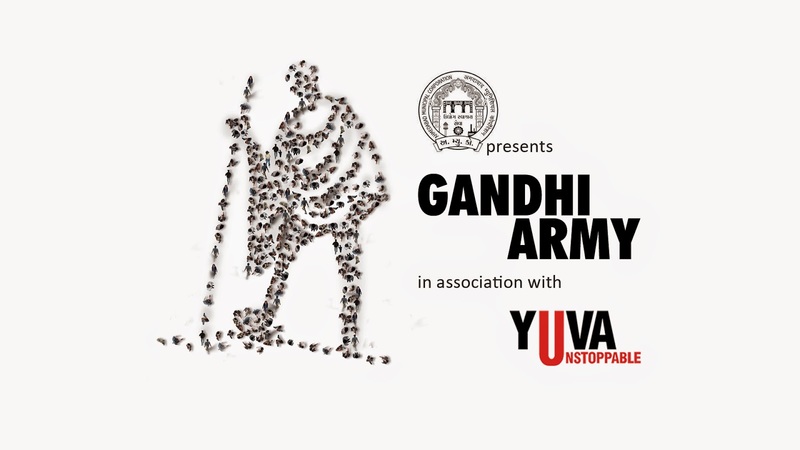 Lets come together and remember Gandhiji with a tribute on his birth anniversary. A massive year long cleanliness campaign will be launched to make Ahmedabad cleaner.